The Princess Bride has been a family favorite for close to three decades. 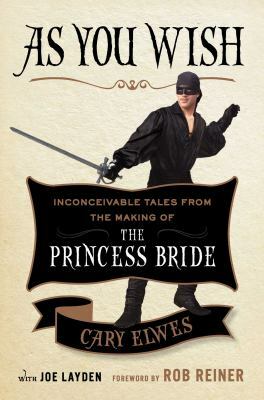 Ranked by the American Film Institute as one of the top 100 Greatest Love Stories and by the Writers Guild of America as one of the top 100 screenplays of all time, The Princess Bride continues to resonate with audiences. Cary Elwes was inspired to share his memories and give fans an unprecedented look into the creation of the film while participating in the twenty-fifth anniversary cast reunion. In As You Wish he has created an enchanting experience; in addition to never-before seen photos and interviews with his fellow cast mates, there are plenty of set secrets and backstage stories. Inside HBO’s Game of Thrones by Bryan Cogman: an in-depth look at the HBO series, with material from both the first and second season. Interviews of the cast, behind the scenes photography, stills from the show, family trees, interviews with production designers and costume designers and conceptual artists: everything you could really want. If you’ve combed the extra material on the DVD sets, most of this isn’t new, but it’s gorgeous anyway. 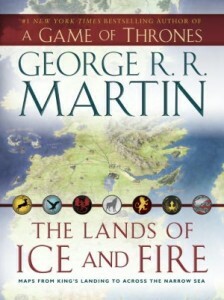 The Lands of Ice and Fire by George R.R. Martin: This brand new non-book is more than it appears: it’s a set of twelve full-color poster sized maps folded up and packaged in book shape. 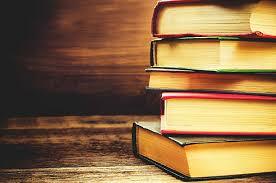 But when you unfold them, it’s a fantasy reader’s dream! Detailed, beautiful maps with tons of new information: before now, the exact parameters and proportions of Martin’s vast imagined world were not exactly defined. But now, NOW we finally know where the Dothraki sea sits in relation to the Red Waste; where the Shadow Lands and Asshai are; the layout of the canals of Braavos; and oh, behold the new details of the smoking ruins of Valyria!! 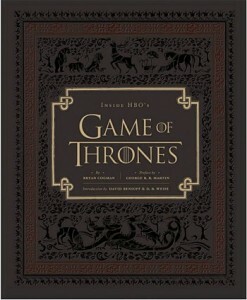 It’s glorious, but a warning: if you are a show-watcher and not a book-reader, there are spoilers inside!